What to do and not to do while in Prague? Nevertheless, keep in mind that Prague is a beautiful city full of amazing people and wonderful places to see 🙂 It’s good to know, however, what to avoid so you won’t spend more or get cheated. Do not change your money in random exchange offices you’ll come across with! No kidding! This is the worst (or rather risky) thing you can do. Unfortunately not everyone is honest and especially not the exchange blokes. Majority of them would like to rip you off. 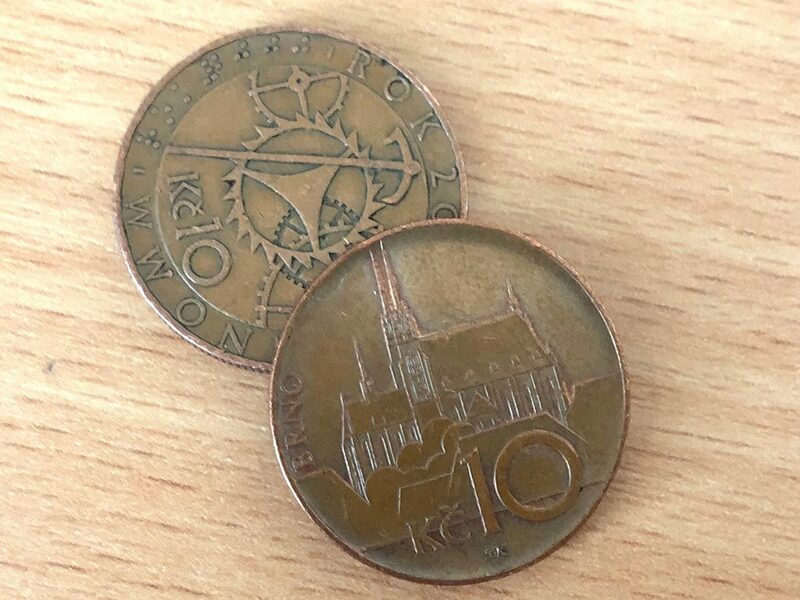 The exchange rate you see might not be the same you’ll exchange money for, and it’s quite common that you won’t even get the Czech crowns back. Go to a bank or a hotel. You shall most likely pay a commission, but it’s much better to chip some 3-5 % off than half of your money. One of the best places (that most Czechs use as well) is situated just round the corner from Old Town Square. Bearing a simple name “Exchange” (https://www.exchange.cz/en, Kaprova street) the office provides the best exchange rate and no commission. Result? No worries and more spare for you. Before hunting down the famous Golem, you would probably need to surpass another Prague’s urban legend – the taxi drivers. There are so many scary stories connected with them, that even locals feel embarrassed. Most taxi drivers are nice people, charging you fair prices, though there are still some black sheep trying to take advantage of tourists. Well then, how to swim the sea of those smelly tin chariots unharmed and perhaps even enjoy it?. From airport to city centre: Once you leave the airport, there are many yellow (or white) taxi cars waiting for you. All of them have pretty the same prices to get you to your hotel, so do not worry about taking it. The price should be about 600-700 CZK (or approx. 25-30 €). While more expensive, it is more comfortable than public transport. Do not take taxis from the Main Railway Station (Hlavní nádraží). The price they charge you is about 40-60 € for just few minutes (and few kilometers) in the car. Why? Because the railway station is situated right in the historical centre, so it’s really only a few minutes to get to most of the hotels. Before you arrive to Prague, just have a look on map – it might be possible to walk (or take subway/metro) to your hotel. Moreover, many hotels and travel agencies offer airport pick-ups or shuttles, so just ask them. It will be much cheaper than you might think! How much to pay? Do ask your driver the price before you board. In the historical centre itself, the price should not be more than 200-300 CZK (10-15 €). Or even less. If he wants you to pay more, just walk away. Once in the car, always watch the taximeter. If the price goes rapidly up, something is wrong 🙂 Just for the comparison, the prices are regulated and topped to 28 CZK/km. So the total price should rise by 1 CZK every 2-6 seconds, depending of actual speed. Take only cars marked as “taxi”. It means, there is the driver’s name, license number and prices printed or displayed on/in the car. It’s not a good idea to take one of those yellow cabs without any printing, only with taxi lamp on the top. Or… use UBER 🙂 It is still allowed and “not illegal” though. From time to time the taxi drivers try to hunt Uber drivers down, and some of these attempts are successful, Uber is fully operational and competitive. Yes, there are pickpockets – like in any other city with the streams of tourists. Mostly it’s quite simple – just take care of all your belongings. Especially when you’re admiring the vast beauty of old buildings, taking lovely pictures or trying to familiarize with the squiggles on you map. For example, the best sockets for pickpockets to pickpocket your locket pocket is tucket of Prague Castle, exquisite panorama of statues on Charles Bridge or rather crowded Old Town Square with picturesque historical sights. Simply, places with lots of people. They dress like you, so it is very difficult also for officers to spot them. 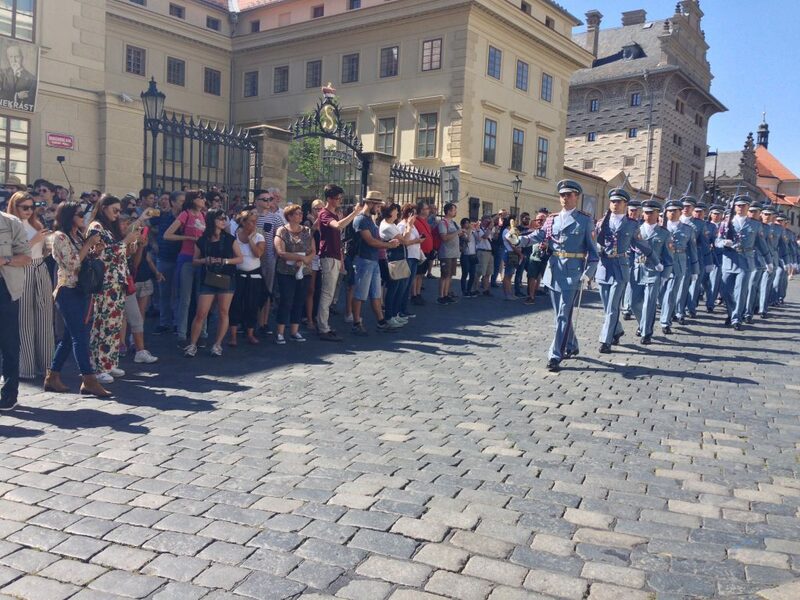 In those moments, when you are taking photos or enjoying the changing of guards, you should watch your bags. 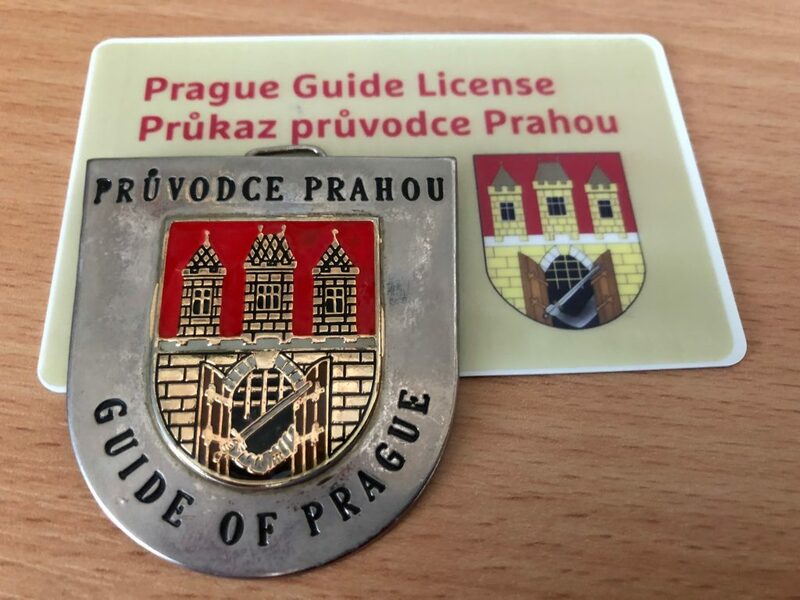 Due to a “legislation mistake”, the tour guides in Prague are not obliged to be licensed anymore! That means, that anyone can be guide. So, once you walk through the city, you will see really a lot of tours almost everywhere. Some of them are better, some worse. It can be really difficult to find out which to choose. 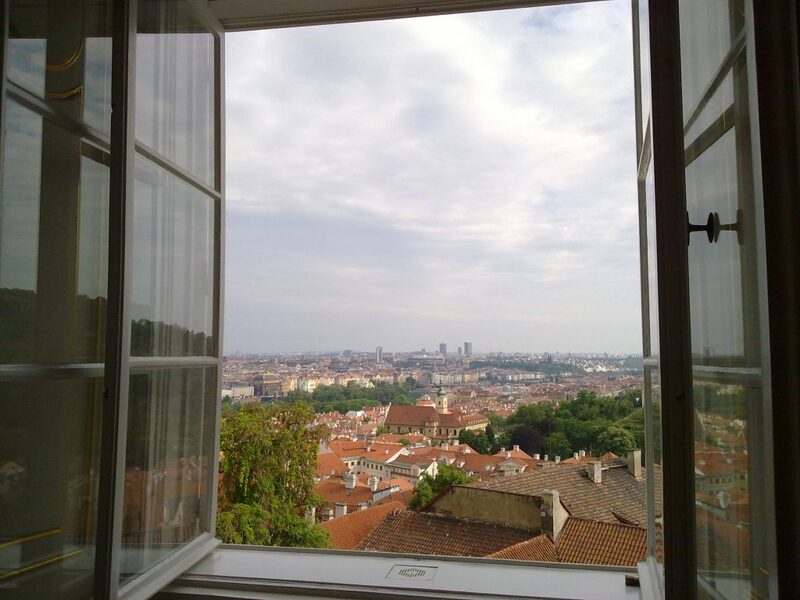 The best way is the recommendation from the internet or your friends who have been to Prague before. You just probably want to choose a good guide. Double check if your guide has the license and the guide badge, provided by the city after they complete a special tour-guiding course. Only then you can be sure that the information you get are credible and reliable. You want to get the best for you money, right? And remember, albeit there are plenty of free tours, nothing is really for free in real life. As you walk through the city, you realize that every church, palace or small theatre holds some concert of classical music. Prague is really the city of music and we are so proud of this. Unfortunately, not all concerts have the same level of quality, and are, moreover, worth visiting. It can be really challenging to choose the right one, especially if you are new to the town. I personally prefer concerts that are held by the professional orchestras, so you can get the quality you deserve. There are several of them and you can still find tickets, even for the last moment. For more info check this article on TraveLog.